Sheffield Teaching Hospitals NHS Trust has selected HP Enterprise Services as the prime contractor to implement a clinical portal designed to improve care standards by allowing a more integrated view of patient information. 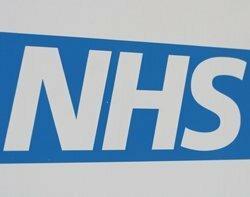 One of the largest NHS Trusts in the UK, Sheffield Teaching Hospitals has five major hospitals under its remit – the Royal Hallamshire, the Northern General, the Charles Clifford Dental Hospital, the Weston Park Cancer, and the Jessop Wing Maternity Hospital – and employs about 15,000 people. The project will deploy a clinical portal from Orion Health, with single sign-on capabilities from Imprivata, to give staff and clinicians faster, real-time access to patient records from any location. The trust hopes this will enhance the productivity of its doctors and nurses, and allow them to spend more time with their patients. David Throssell, medical director at Sheffield Teaching Hospitals NHS Foundation Trust, said it was becoming more important to have a complete picture of each patient on hand during the care process. Having an “umbrella” portal into which staff can log in once to view multiple information systems from one endpoint would enable “more joined up working between community, acute and primary care professionals,” said Throssell. “Many of our staff work outside the hospital in the community or in patients’ homes and so having the right information available is also key. The clinical portal will enable this to happen and it will mean staff do not have to keep asking patients the same questions, because once the information has been inputted into one system it can be viewed via the clinical portal,” he said. Throssell said that other NHS Trusts that implemented similar systems would ultimately be able to link in with Sheffield, sharing patient information, best practice and advice. The project will see HP provide an up-to-date view of clinical activity and securing patient-related data, while Orion Health will take charge of providing clinicians with secure online access to patient records at the point of care, and Imprivata will supply authentication and access management technology. HP account exec Anjanish Shekhar, said the project would serve as a prime example of how HP’s much-hyped new style of IT could “help integrate primary, acute and social care by enabling clinicians to access context-sensitive views of patient information from multiple systems, no matter where they are”.